I’m fond of quoting Arthur C. Clarke’s famous truism that any sufficiently advanced technology will be indistinguishable from magic. Well, despite a pretty good K-12 and college education courtesy of the great state of California, I’ll never quite understand in any visceral way how sound and images can be transmitted literally through the air. Yes, even old-fashioned low-tech radio seems like magic to me. Indeed, wireless radio transmission must have seemed quite a magical miracle in the early 20th century and certainly worthy of its own cocktail. You can nevertheless argue that inventor Guglielmo Marconi was shortchanged in the mixed drink department because his liquid memorial is actually, like last week’s Añejo Manhattan, a pretty direct lift of one of boozedom’s most basic cocktails, albeit with just a couple of very simple alterations. 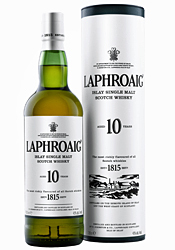 It’s the difference in base spirits that drew my attention in this case. The Marconi Wireless replaces Manhattanite whiskey with applejack, the apple brandy that appears to be America’s first truly indigenous spirit. Having just bought myself perhaps the most authentic of the very few remaining applejack products on the market, I was definitely raring to give this one a try. It might not be as masterful a cocktail as the Jack Rose, but it’s super easy to make and will tantalize the tired tastebuds of even fairly jaded cocktail snobs. Combine the liquid ingredients in a cocktail shaker or mixing glass. Shake or stir vigorously as you prefer, and strain into a cocktail shaker. I guess you have no choice but to toast Signor Marconi who, after all, made mass entertainment as we know more or less still know it possible. On the other hand, I was able to mess around a bit with my vermouths. 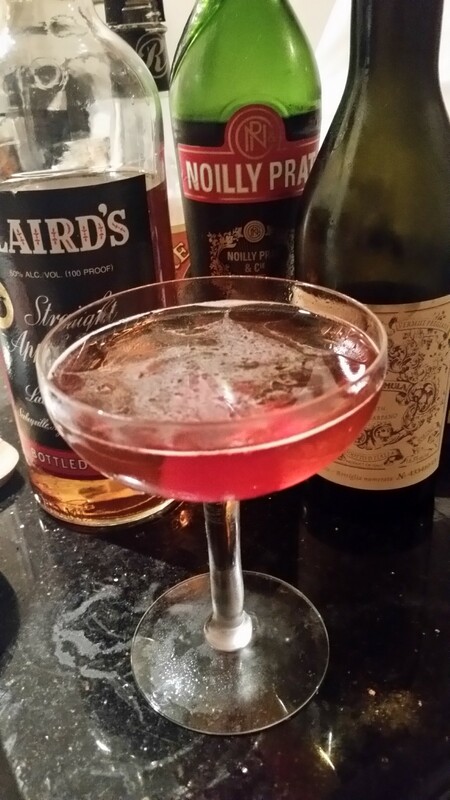 As you might expect, the solid and popularly priced Noilly Pratt produced a simple yet sophisticated result while the more expensive and voguish Carpano Antica added a more complex, bitter bass note to this fine Manhattan transfer. 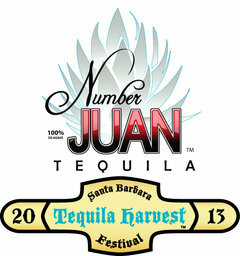 I love tequila probably more than gin and and almost as much as whiskey and rum. Indeed, the first cocktail I ever had that made me realize there was a real art to this sort of thing was a fabled prickly pear margarita I enjoyed some time some time around Y2K at the long gone Las Vegas branch of the fabled Santa Fe, New Mexico restaurant, Anasazi. The only reason I don’t feature the fabled Mexican derivative of the blue agave plant as often as other base spirits is that it’s a pretty late arrival to the U.S.’s long cocktail party. There simply aren’t as many interesting recipes for it as for standard Yanqui boozes. As by far the best known high end tequila, it makes sense that today’s cocktail comes to us courtesy of Patrón. Here’s where I have to mention that I was gifted by the tequila titans not only with their very tasty, very smooth and extremely mellow añejo, but with a holiday gift box that also offers artisanal aromatic bitters from Dashfire and some very nice coupe glasses you might see pictured here from time to time. Even so, I don’t think I was overly swayed when I say that, if you use the right vermouth and the right amount of bitters, this is one heck of a variation on a cocktail super classic. Yes, this is pretty much a Manhattan with the aged tequila subbing for whiskey. So, make this pretty much as you would a regular Manhattan. Combine all of the liquid ingredients in a cocktail shaker or mixing glass. Stir or shake, depending on your personal preference. Patrón says you should shake it gently if you’re going that route, which worked fine for me. Strain into a well-chilled cocktail glass. Add your orange peel or cocktail cherry, sip, and salute the great nation of Mexico. Like los Estados Unidos, it’s a country with many problems but also one of the world’s most fascinating culturas. 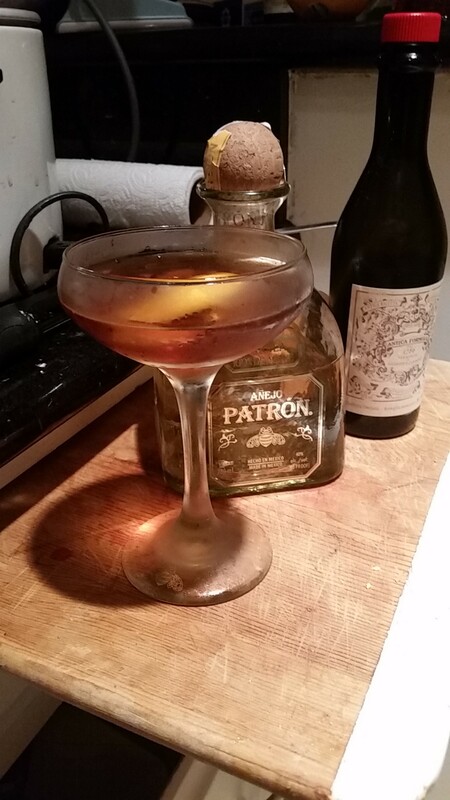 I initially tried this drink pretty much as per Patrón, using Noilly Pratt sweet vermouth and the Dashfire bitters, which are sweeter and smokier than your basic Angostura type, with the distinct presence of cloves. It a very nice change of pace from the usual Manhattan. Still, when I tried it again using the more expensive, more bitter and more complex Carpano Antica, which has become the go-to sweet vermouth for many a cocktail snob, I suddenly remembered why that was the case. The slightly bitter, chocolatey bottom took that iteration of the drink into the stratosphere. After that, however, I had a hard time recapturing the magic of that second attempt. Later on, I actually found myself enjoying this drink more with Noilly Pratt and, despite my picture, I think the addition of cocktail cherry suits the flavor more than an orange peel but then, like everything else, I’m likely to change my mind on that point, too. 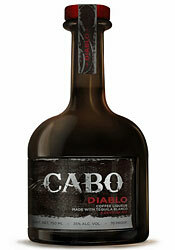 I love premium tequila, so naturally I’m a fan of everything from Patrón. 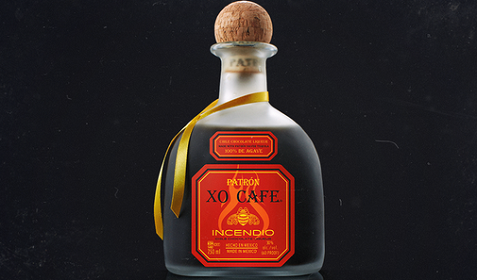 So when I tried their delicious new offering, Patrón XO Cafe Incendio, I knew it would live up to the brand’s high standards. This spicy and sweet liqueur is delicious and it offers a great new option whether you’re looking for a drink to savor and enjoy, or whether you’re getting a party going with shots. And we all know that few things get a party going like tequila, and this sweet drink should win over more tequila fans, particularly among the ladies. 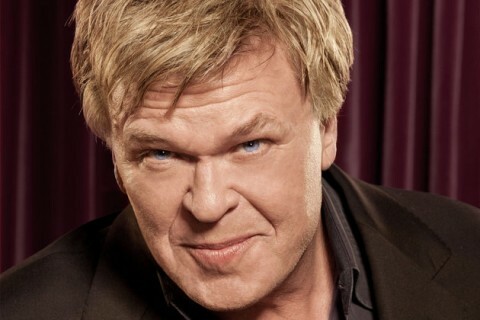 Earlier this month, I had a chance to chat with comedian Ron White – you probably know him best from his work on the Blue Collar Comedy Tour – in conjunction with his latest round of tour dates featuring a night in my home town of Norfolk, Virginia. We chatted for quite some time…enough time, in fact, for me to pull together a piece for the Pilot (“Interview: Comedian Ron White Prefers His Shows Live“), an altogether different piece for AntennaFree.TV (“Pilot Error: Comedian Ron White Reflects on ‘Señor White’ and Takes Us Through ’12 Miles of Bad Road’“), and still have a bit more material left over. It’s not really “left over,” though, as I made a point of keeping this portion of the conversation for Bullz-Eye. I mean, come on: if Ron White talking about the tequila company he co-owns with his brother-in-law, fellow comedian Alex Reymundo, isn’t something that’s got “Bullz-Eye” written all over it, I don’t know what does. 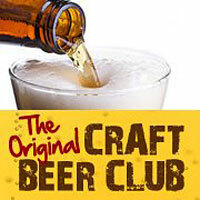 Once upon a time, White was quoted as saying, “There were years when I was a beer and tequila guy, then I got real fat. And then I found that you could actually go on a diet and drink scotch. Then I got hooked on scotch, and if you get hooked on scotch, then everything else just tastes wrong.” Apparently, he’s changed his tune a bit on tequila now that he’s selling the stuff. Then again, from the sound of it, this tequila probably tastes a hell of a lot better than the stuff he was swigging back then. The topic of tequila came up somewhat offhandedly, when I asked White about his writing regimen. In the process of explaining that he writes most of his material on the road, getting input from the team of folks who travels with him, he began listing off the travelers by saying, “I’ll have an opening act, usually my brother-in-law, who’s also my partner in my tequila company. He and I own a company called Number Juan Tequila. Best tequila in the world.” He didn’t mention it again after that, but having thrown that tidbit into play, I decided to pick it up and run with it a few minutes later.